Please fill out the application form by clicking the "apply" button below. Upon receipt and approval of your application form, you will be sent a link to the Planning Center registration for this class. When you register, you will be required to pay a fee of $75 per couple at that time, which covers the cost of the course books, snacks, printed materials, and administrative costs. Classes take place from 1:00 – 2:00 PM each Sunday afternoon at Westside Church for the duration of the course. 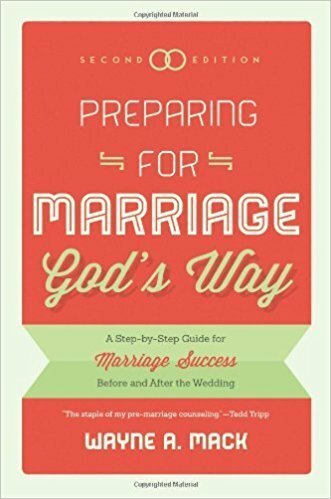 We will be going through the book “Preparing for Marriage God’s Way” by Wayne A. Mack. This book is filled with personal and couple assignments that will need your full attention so that your mentor time is fruitful. It will require you to dedicate a few hours a week to accomplish the assigned homework. Part of the strength of this course is that each couple will be paired up with a mentor couple from within Westside church. These volunteer Mentor couples all come with a wealth of practical marriage experience, a love for Jesus and have a heart to help those that are just approaching marriage. You will set up an additional time to meet with your mentor couple either during the week or on Sunday before or after class. You will be expected to make the effort to travel to meet with your mentor couple each week. Mentor couples are generally limited to those from within Westside. If you are from another church we ask that you contact your Pastor about finding a mentor couple. If you don't have a home church we will work with you to arrange a mentor to meet with you as a couple. Additional resources will be given at the time of the course. We will do our best to ensure all who have applied are enrolled in the session they request; however, due to the high demand for this class you may be put on a wait list or asked to enrol in the next session. The Family ministry department takes into account the date of your wedding (if one has been set), whether you are engaged or not, and whether you attend Westside when determining who will be admitted into each session. If there is other information that would be helpful for us to know please include it with your application. Please wait for confirmation on enrolment before paying your course fee. Are you a regular attendee at Westside and not yet on The City? Find out more here!